← Have You Considered Collagen? 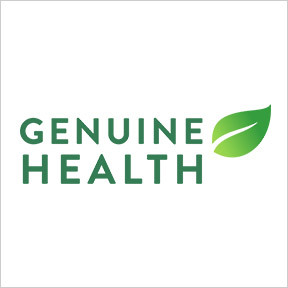 For over 25 years, Genuine Health has remained passionate about producing all natural, science-based supplements to provide the essential nourishment required for improved energy, cognition, movement, sleep, and gastrointestinal health. In order to formulate products that nourish and inspire a truly remarkable feeling of health and vitality, Genuine Health utilizes science, innovation and the latest in nutritional research. To support the health of people and the planet, Genuine Health sources sustainable ingredients, plants trees to replenish the planet, and donates their nutritional supplements to animal rescue sanctuaries and the less fortunate among us. In addition, Genuine Health funds research to protect the endangered bee population. As the first natural supplement company to reach Certified B Corporation status, Genuine Health meets the highest standards of verified social and environmental performance. By harnessing the power of business, B Corporations use profits and growth as a means to a greater end: positive impact for their employees, communities and the environment worldwide. Fermented Vegan Proteins+ Vanilla: Formulated with a custom blend of 7 high quality, organic plant-based ingredients, each serving of Fermented Vegan Proteins+ powdered supplement provides 20 g of highly absorbable protein with a balanced amino acid profile. Free of gluten, dairy, and artificial ingredients. Naturally flavored, Non-GMO vegan formulation. Chocolate and Unflavored formulas also available. Advanced Gut Health Probiotic 15 Billion Daily Care: This balanced, shelf stable, potency- guaranteed 15 strain probiotic formula provides 15 billion live colony forming units per serving. Delayed-release capsules ensure targeted delivery to the small intestine for maximum effectiveness. Free of gluten, wheat, soy, dairy, eggs, seafood, shellfish, tree nuts and peanuts. Non-GMO vegan formulation. Fast Joint+ Care with Fermented Turmeric: This powerful formulation provides research supported Biovaflex® natural eggshell membrane and bioavailable fermented turmeric. These concentrated ingredients provide nourishment to joints and connective tissues and support a healthy inflammatory response. Free of gluten, wheat, dairy, soy and artificial ingredients. Fermented Organic Gut SuperFoods+: This no-bloat whole food formula provides 22 fully-fermented organic plant-based ingredients, including organic greens, superfoods and prebiotics, to help nourish a healthy gut ecology in support of overall wellness. Gluten, wheat, dairy, soy, and artificial ingredient free, Non-GMO vegan formulation. Fermented Vegan Proteins+ Bars: For the ultimate on-the-go snack, these fermented vegan protein bars provide a full spectrum of amino acids from 7 plant-based protein sources. Each bar provides 14 g of highly digestible protein in support of maximum bioavailability and gastrointestinal health. Gluten and artificial ingredient free, Non-GMO vegan formulation. Contains almonds and coconut. Also available in Peanut Butter Chocolate flavor. This entry was posted in Home and tagged Advanced Gut Health Probiotic 15 Billion Daily Care, Fast Joint+ Care with Fermented Turmeric, Fermented Organic Gut SuperFoods+, Fermented Vegan Proteins+ Bars, Fermented Vegan Proteins+ Vanilla, Genuine Health, Genuine Health – Featured Brand, Professional Supplement Center, Vitamins and supplements, www.professionalsupplementcenter.com. Bookmark the permalink.